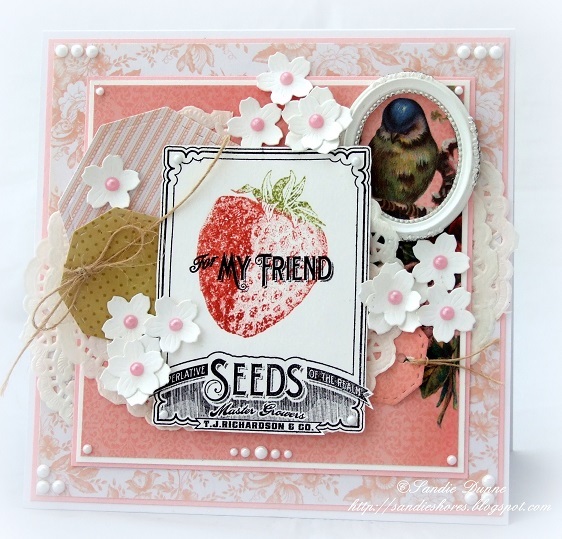 Hi all, we have another gorgeous guest post for you today, from Sandie Dunne of Waltzingmouse Stamps. 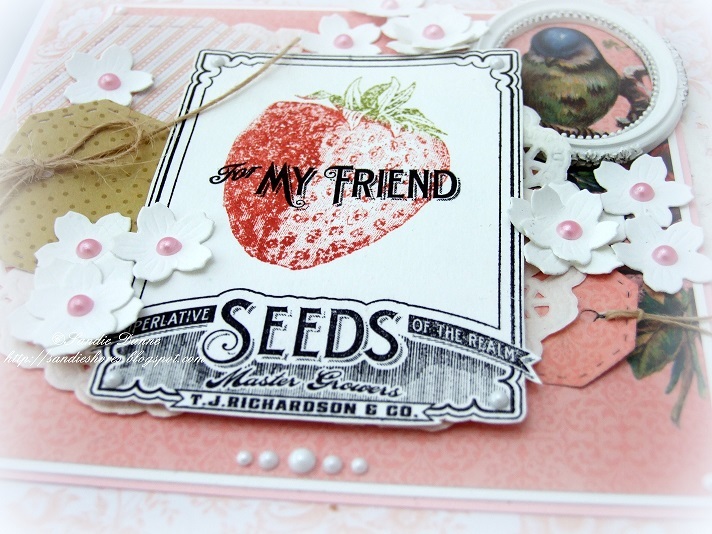 She is here to share the process of creating a beautiful layered card. Working with layers can be intimidating to some, so check this out!! 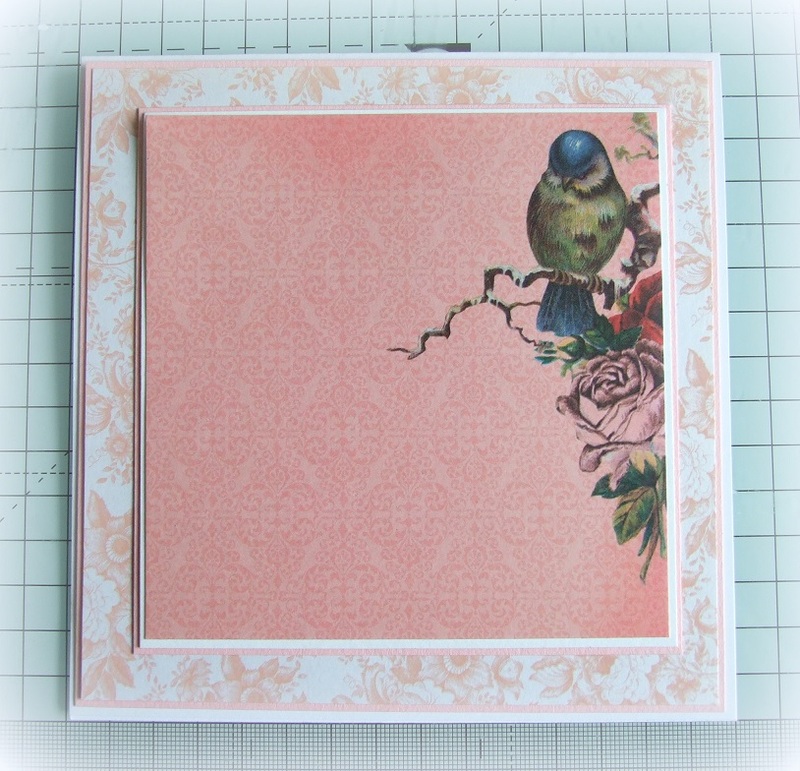 Adding lots of layers to your cards can give it a rich, luxurious feel. 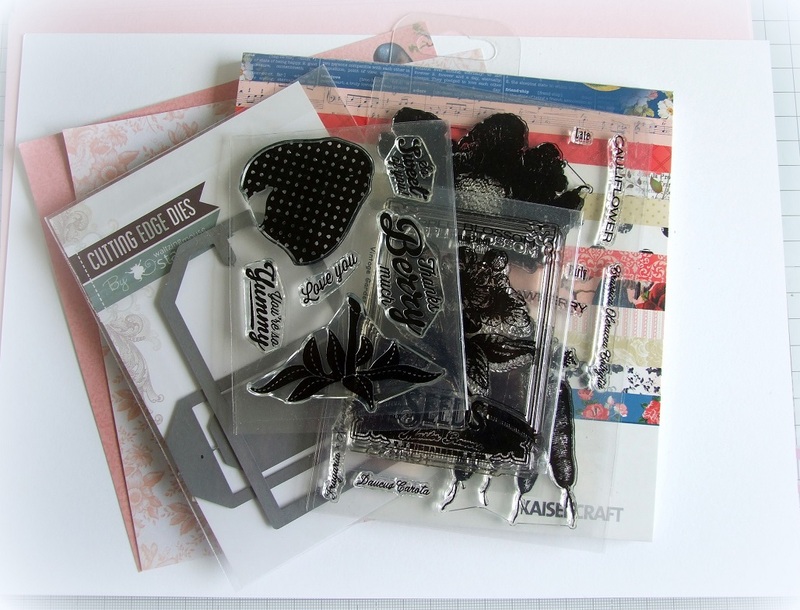 You can also have many surprise elements like pull out tags and gift card envelopes to make your card that little bit extra special. My card base is 147mm x 294mm folded in half. 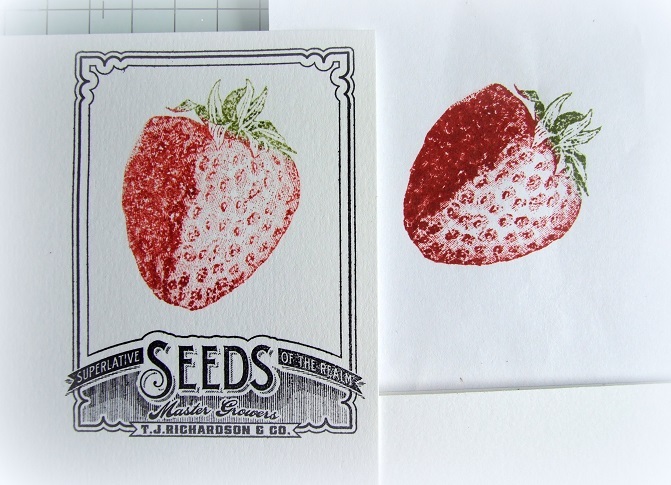 Ink the Strawberry from Vintage Garden – Produce and stamp it onto a scratch piece of paper, then restamp into the middle of the packet seed. 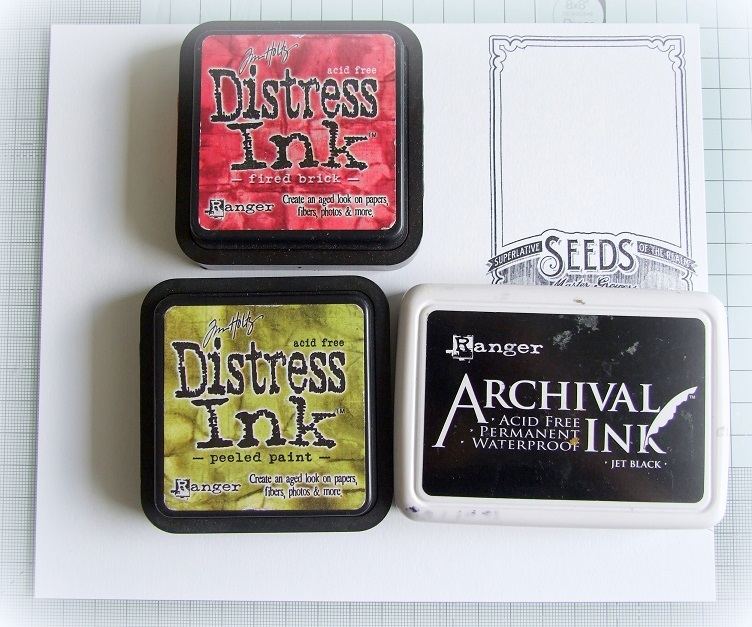 Twice stamping gives it a more distressed look. Using your scissors, cut around the outline, leaving a little bit of white outside the line. Taking the Stitched Tags Die cut out numerous tags of different sizes, in coordinating patterned paper. Also, cut some doilies in half. Layer some of the doilies between the bottom and top panels, on each side. 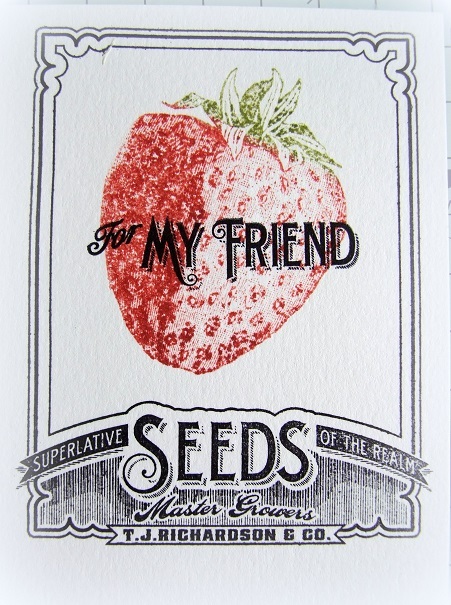 The layer more doilies and the tags behind the Packet Seed. 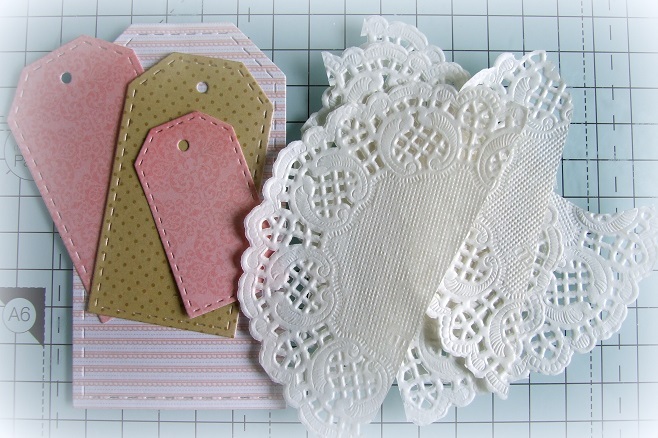 Add twine/ribbon through the top of some tags – you can also add flower/buttons. 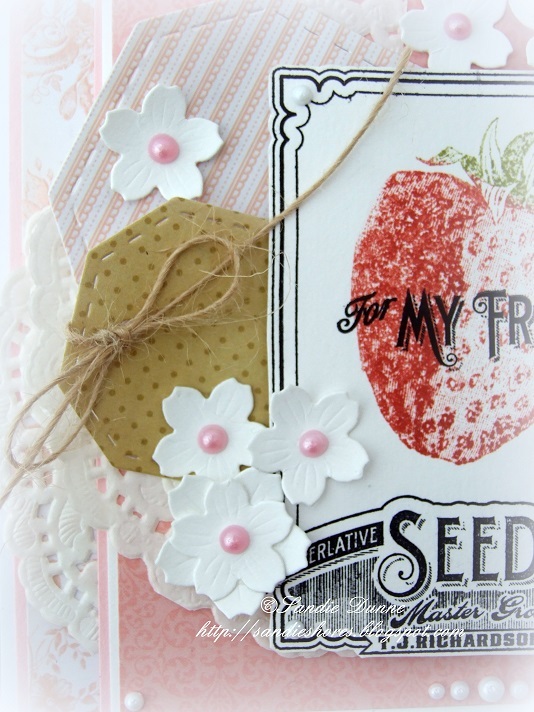 Embellish the card with more die cut flowers and add some pearls/liquid pearls to the centre of each one. 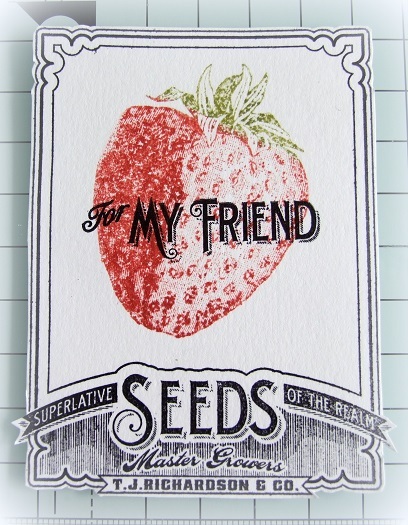 Finish the card by adding some white pearls.